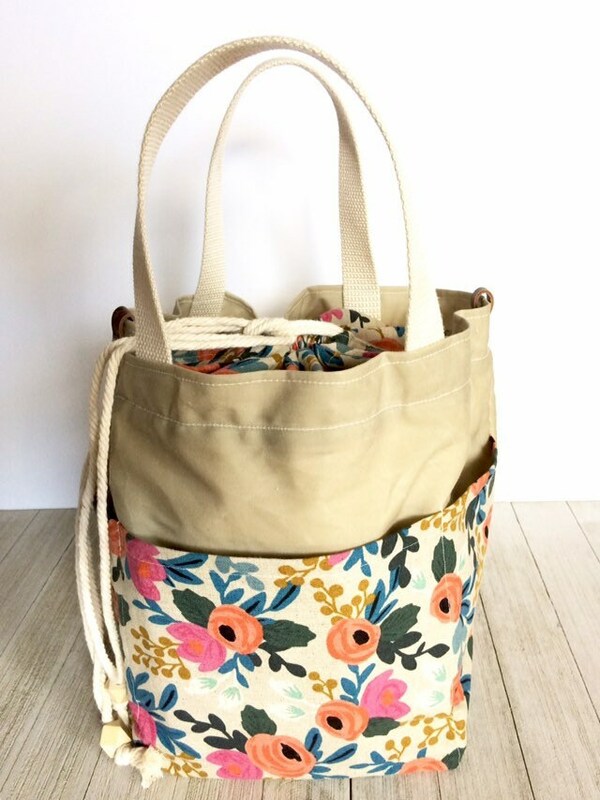 Project Bag...Natural Les Fleur. 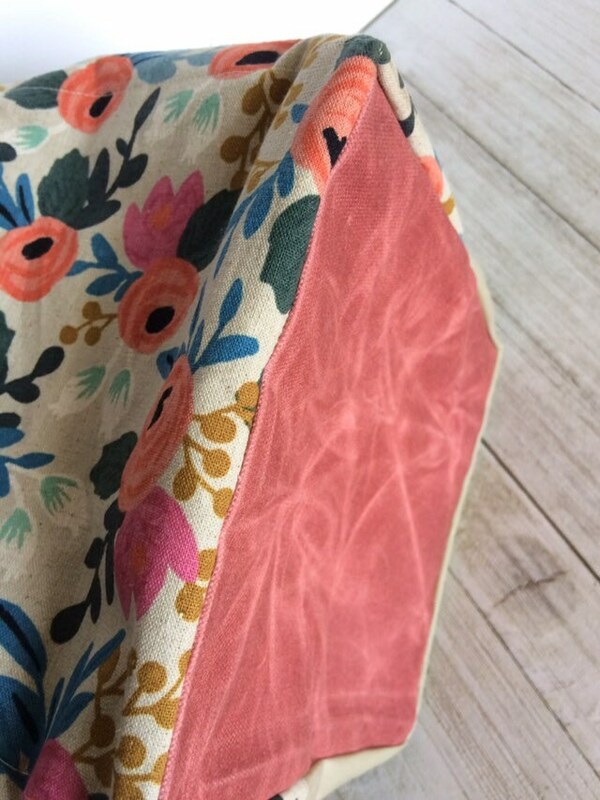 Waxed Canvas and Linen. Your go-to bag when you need to take your project on-the-go. Sweater size, perfect for medium and small knitting and crochet projects, embroidery and stitching work. Bottom measures 7” x 7.75”. 8.5” tall at the cinch, 12.5” tall opened. Made from lightweight waxed canvas, with three oversized linen cotton canvas pockets on one side, and a heavy waxed canvas bottom, to protect your work in progress. 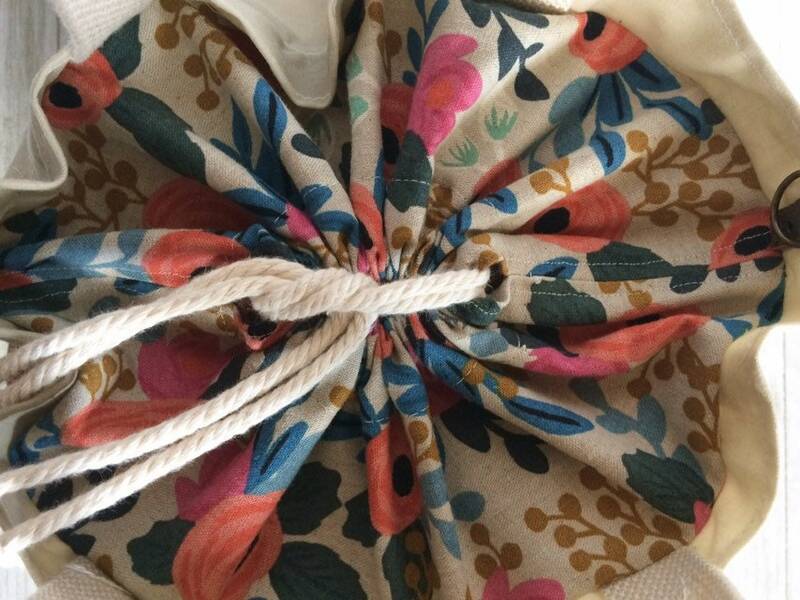 The drawstring, cinch top has a wide opening for easy access, yet closes securely, for travel. 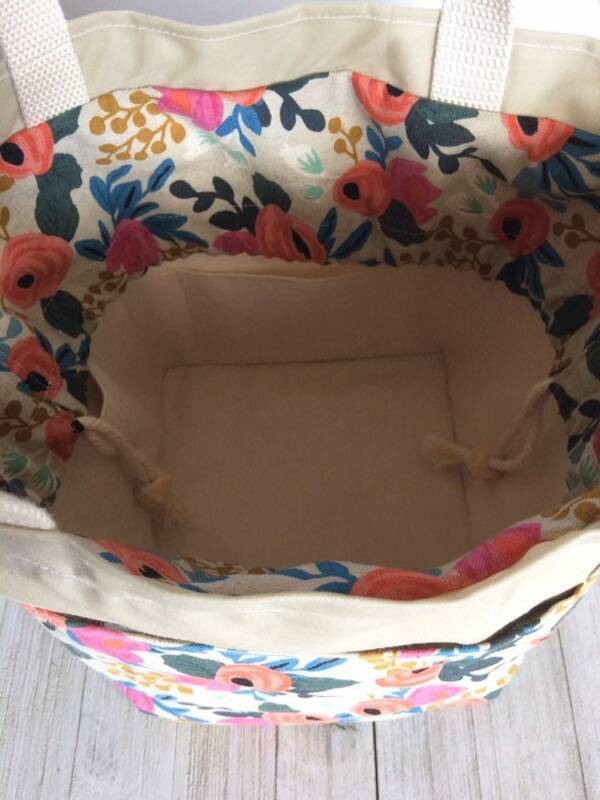 Can be extended up for bigger projects, or folded down, into the bag, for smaller projects. Use the wooden beads as diffusers by applying essential oils! The reinforced natural canvas lining has a flat bottom and four pockets, to keep your tools and supplies organized. Two exterior D-rings are included, for those who wish to add a longer strap. Cotton webbing handles are very durable. I would recommend scotch guarding them to keep their color. If you prefer a dark brown or black cotton webbing, leave a note at checkout!